Ever seen something like this? Chances are you have if you’ve ever hiked anywhere near water and rocks. 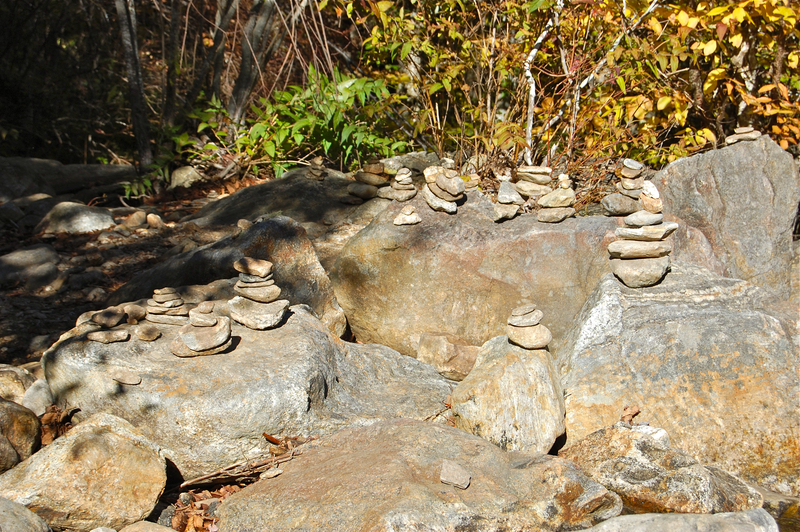 Stacking rocks must be like spraying graffiti or carving your initials into a tree. It’s a way to say, “I was here.” In the ancient Near East, people often stacked rocks to mark an event: a burial, a battle, a milestone. We have examples of this in the Old Testament, like when Israel marked their entry into the promised land in Joshua 4. You might enjoy reading this post in which I use the analogy of following trail markers to ask, Is it easy or hard to follow Jesus? Thanks again for visiting Average Us! ← Damn it! I Don’t Know the Man!